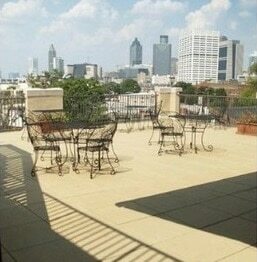 15 unique floor plans, open spaces, and downtown Atlanta views make the Stonewall Building the perfect place for those seeking a comfortable, intown lifestyle. Each Studio, 1, 2, or 3 Bedroom home at the Stonewall Building is specifically designed to provide our residents with sweeping open spaces, unique features, and luxury finishes. And, with a walk score of 82, everyday necessities and exciting nights out are within easy walking distance from our community. From high end finishes in each home, to amenities designed to help you live your best life, you’ll find that the attention to detail in the Stonewall Building caters directly to your lifestyle. Check availability now or Schedule a Tour today to find your extra space in the city!